La Cornue Ranges have always represented a celebration of all that is glorious about France and the French culinary tradition. Combined with a La Cornue Hood, they exhibit timeless style and summon an expression of truly refined taste. La Cornue ranges and their hoods are as unique as each owner, and therefore, believe, something quite extraordinary. 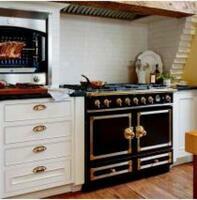 Their ranges and hoods are cherished by our clients as a commissioned piece of art. Not only used to create masterpieces in the kitchen, the ranges and hoods themselves are considered by most to be a masterpiece in the kitchen. The CornuFé Series offers a La Cornue for those who have high culinary standards, but do not need the size and customizations of the Château Series. The CornuFé assuredly exhibits the quality and spirit of La Cornue — made with materials and craftsmanship held to the same elite standards as our Château ranges and hoods. The CornuFé Series offers a La Cornue for those who have high culinary standards, but do not need the size and customizations of the Château Series. The CornuFé assuredly exhibits the quality and spirit of La Cornue — made with materials and craftsmanship held with elite standards. The baffle filters are dishwasher safe making them easy-to-clean. 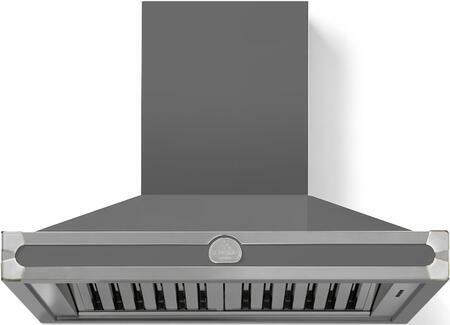 With its 600 CFM airflow, this range hood keeps the noise down on its usual operating speed while efficiently removing unwanted steam, smoke and any lingering odors. 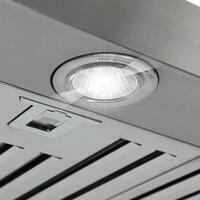 Our new La Cornue hood is the perfect complement to our other appliances and cabinetry. It’s very effective at limiting the smoke and odors in the kitchen. I purchased this a month ago and I am still extremely pleased. So far working good light and fan, love the look. Very modern design goes well with my new kitchen. Looks just like the picture and is exactly what we thought it would be based on the description. This unit was easy to install and looks fantastic. 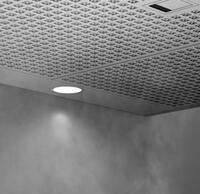 The La Cornue product is effective for removing smoke and odor. We cook a lot of food in high heat and this fan can pull the smoke and odor out of the house with no problem. We also like the style of La Cornue Hood. We did research and feel We made the correct selection. It’s been 2 months we have installed this in our new house. The unit is not only looks great it’s working well and does the job. We have this over 5 burner gas range and its working great. 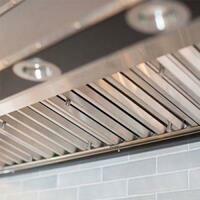 This range hood has all the features of the expensive range hoods at a reasonable price. This range hood gives us the power we need to cook anything in our kitchen, even fried chicken. Fairly easy to install. Operates quietly and has good suction. Product delivered quickly. Good instructions for assembly and mounting. Almost my entire house has La Cornue appliances so when I opted to get a range hood, it was a no-brainer who I would choose. Found some great deals during a sale on AppliancesConnection.com and delivery was very smooth. Love the product!